Before I get to share all the fabulous products I have my eye on, I just want to make a public apology to my little blog for not really giving it the love and attention it deserves. So far in 2014 I haven't done nearly as many beauty/lifestyle posts as I'd have liked to purely because I've actually been struggling with writing content that meets the high standards I set myself and I'm not one to post reviews if they're not up to scratch, so I've just been settling with doing tags and all that jazz. But I seem to be getting over this little glitch and the beauty blogger part of my brain seems to be getting back on track. I've got a whole heap of reviews just waiting to be popped up for all you lovely people to enjoy and I'm starting to get really excited at the prospects of what 2014 has to offer for my little blog. I'm hoping to really give my blog a big push and start to produce even better regular content, fingers crossed with a few other ventures in there too. 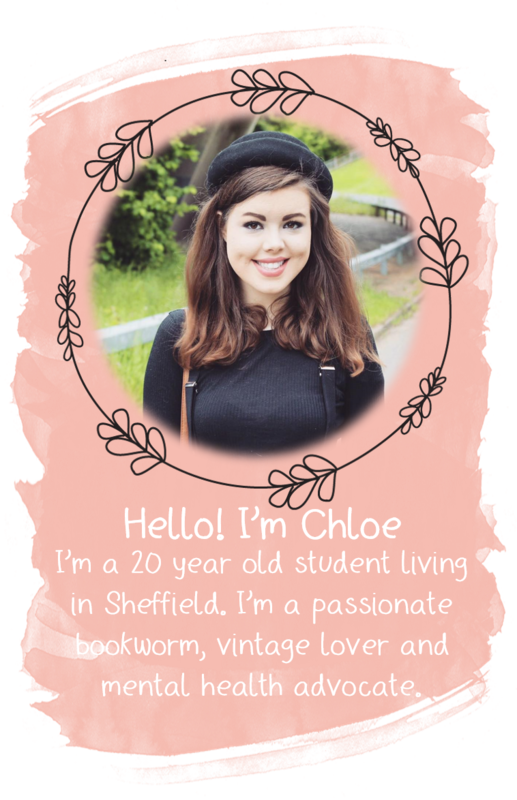 This blog has done some big growing up over the last few months and I'm hoping this will continue into the Spring and Summer months too. But that's enough of my rambles... on with the post! I haven't done a wishlist post in what feels like forever, and recently I've been eyeing up so many wonderful products in Boots and Superdrug. so I thought now would be a good time to unleash a brand spanking new wishlist for you. All these products seem to be products that most bloggers already have lying in their makeup bags, and they're products that I just can't resist the temptation to give them a try any longer. 1 - Maybelline Colour Tattoo Eyeshadow "On & On Bronze"
5 - Essie Polish "Eternal Optimist"
Up first we have the Maybelline Colour Tattoo Eyeshadow in the shade "On & On Bronze". Now believe it or not, I'm yet to jump on the bandwagon with this one. I've heard so many amazing reviews of this product and all the fabulous shades that are on offer but when it comes to eyeshadow I'm one to stick in my comfort zone, with that being my Sleek "Oh So Special" Palette. However one of my new years resolutions was to try and escape my makeup comfort zone and try out some products I normally wouldn't have picked up, which is why I'm keen to try the colour tattoo eyeshadows. I've decided to try "On & On Bronze" first because it's the sort of shade I'd normally go for anyway so I'm not jumping in at the deep end when giving this product a try. Next we have the Benefit POREfessional Primer. Now being a drug store makeup kind of gal, I'm yet to venture into the world of Benefit products other than my faithful "They're Real" mascara, but this has to be one of Benefit's most talked about products so I really want to give it a go to see what they hype is all about. I could really do with something magic that will minimise the look of my pores particularly around my nose, and this sounds like it will do just the trick. Now it's the turn of the Maybelline Falsies Big Eyes Mascara. I've looked at this product up every time I've set foot in Superdrug since it came out (I've even stepped in occasionally simply just to have another look) but I've always managed to resist the temptation to buy it. If you're a long term reader of my ramblings, you'll know of my undying love of The Falsies, so you'll understand just how desperate I am to give this new product a try. I see my eyes as one of my best features and as I'm not one for wearing eyeliner I'm always looking for a good mascara that will help to make my eyes pop, and this seems to be a product that will do just the trick. It has a smaller brush to specifically target your lower lashes, which sounds amazing. If any of you lovely people have tried this product can you let me know what you thought? I always trust the views of fellow beauty bloggers so you may help me make the decision of whether or not to pop it in my basket next time I venture into the heaven that is superdrug. Up next we have the Bourjois Healthy Mix Concealer. I've seen this product being raved about by a fair few bloggers and as someone who suffers from nightmare breakouts, concealer is my best friend, so I'm always on the look out for a new product that will help me win the fight of concealing blemishes. My trusty Rimmel Wake Me Up Concealer has stuck by me over the last year or so but if this is a product that might help me that little bit further then I might just give it a go. The 5th product on this months wishlist is the Essie polish in the shade "Eternal Optimist". I'm yet to try an Essie polish. I always say that next time I pop into Boots or Superdrug I'm going to pick one of their fabulous shades up but I've always found that I just can't spend £7.99 on a nail polish. But I've decided that I'm going to go for it. I'm going to try an Essie polish and decide for myself whether it's worth the price you have to pay, and the shade I've chosen is "Eternal Optimist". This is a stunning fairly neutral colour with a bit of a pink tint. I have to admit, I have fallen a little bit in love with the shade and I think it's perfect for this time of year. Finally we have the Real Techniques Stippling Brush, and this is a product that has been on my wishlist for what seems like forever and a day. I fell well and truly in love with the Real Techniques Expert Face Brush back in November time and their Powder Brush followed suit, so I'm desperate to try more of their fabulous brushes. The Stippling Brush is a brush I've read lots of lovely reviews of and it seems like a brush that will really help me achieve a great skin look so I'm excited to give it a try. 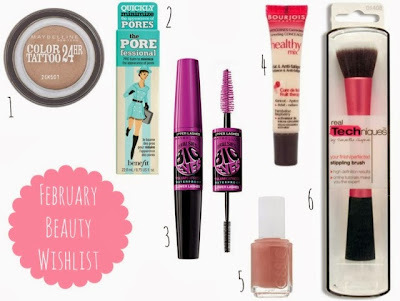 So that is all that's on my makeup wishlist this month. I can't wait to get my hands on all these products, even though I know that I'm going to have to get saving my pennies if I'm to get them anytime soon. If you've tried any of these products, let me know in the comments what you thought, or if you've actually reviewed any of them in a blog post, leave me a link so I can have a little peek. What's on your makeup wishlist this month? The porefessional is great. I think Ulta has little sample kits that have the Porefessinal and That Gal in them, if you don't want to buy the full size. I've been wanting the porefessional for so so long, I've heard nothing but good things about it! Prom Preparations: What Do You Want To See?